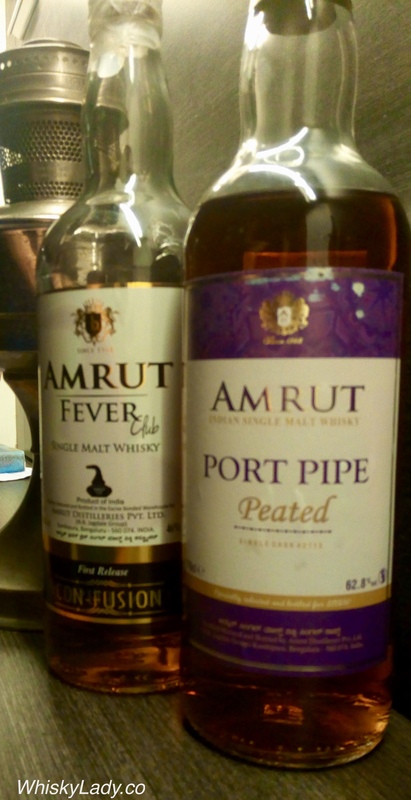 It is time to admit I’ve gone from being skeptical about the Amrut’s available in India to being puzzled by experiments like Spectrum to becoming rather impressed with some of the expressions available outside of India. After enjoying the Fever Club Con-Fusion whisky, our host shared the tale of when he 1st encountered this at Whisky Live in Paris. Shared how he was intent on other explorations but when passing by the Amrut booth sampled this and went “Woah!” So much so that of all the options, this is the one that stood out and made its way back to Mumbai for our sampling pleasure. Lucky us! Palate – “What the F@%k!” Exceptional. An elegant peat. Cinnamon spice. a light brine, very dry. There was absolutely nothing off… very well crafted, the kind of whisky that will make you stop and pay attention. Here is what the folks at La Maison du Whisky has to say? One of this Amrut’s undeniable charms (of which there are many) is the construction of its aromatic and gustatory palette. Like the peat that gradually tames an olfactory opening of rare power. After taking the upper hand, like an inspired sculptor, it tastefully chisels out a palate and finish with an almost sensually smooth texture. In this, it is every bit as good as the magnificent version also aged in a port cask which, in our 2017 Creation Catalogue, majestically marked La Maison du Whisky’s 60th anniversary. Profile: the very powerful initial nose is hot, mineral and camphoric. Little by little, an oily, earthy peat envelops the aromatic palette. Equally as present on the attack, this peat gradually becomes sweeter (apricot tart). The finish is malty and full of freshness. Lightly tannic, the end of the palate is herbaceous and floral. Curious about other Amrut tasting experiences? 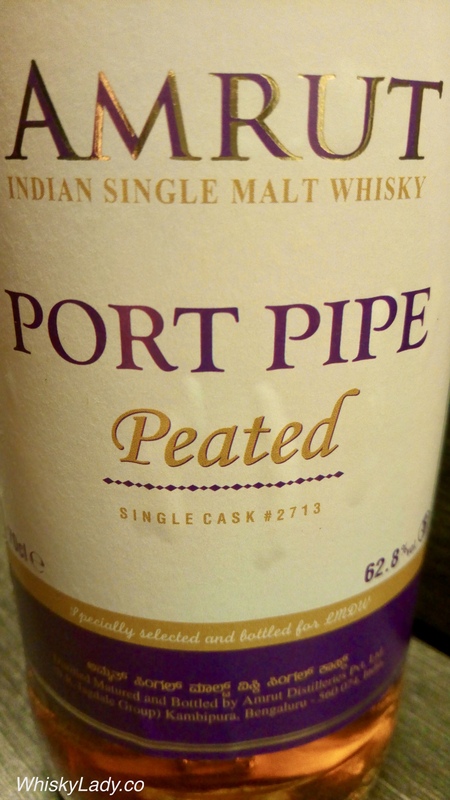 This entry was posted in Beyond Scotland, India, Wine Cask and tagged Amrut, Amrut Port Pipe Peated, Cask Strength, Krishna Nakula by Carissa Hickling. Bookmark the permalink.